Whether you’re roasting marshmallows or lighting a candle, learning fire safety tips can help prevent emergencies. Use this resource to teach kids about firemen, fire trucks, and fire safety, then make a special campfire treat to celebrate. 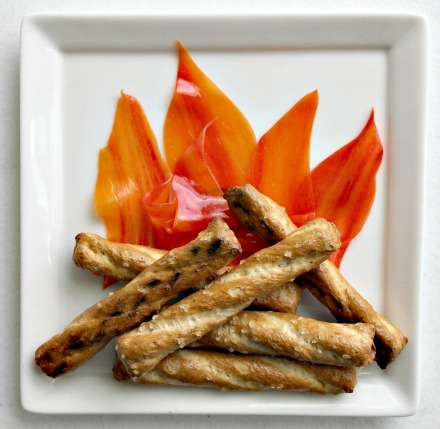 Then, celebrate your new fire safety knowledge with these fun and simple campfire treats! Lay pretzel sticks along the bottom of the plate in a horizontal pile. Place vertical strips of red fruit leather on top to create fun, colorful flames. After you’ve eaten your snacks, take time to quiz your child on fire safety tips. You never know when this newfound knowledge will come in handy!